It's been good to have some time back here to catch up with old friends and walk around the lovely mall. I think I like DC more on a visiting basis than living basis, but still a great city and fun to know my way around it more and more. 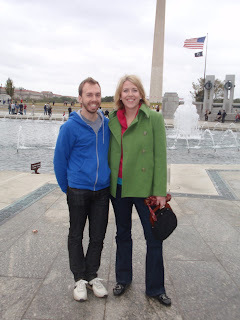 Thankfully last weekend Jason and I were able to walk around some of the monuments before it started to rain.